Founded in 1870, a modern multidisciplinary center is a medical institution of the University of Essen. The clinic, in which more than 2,000 employees annually provide medical care, to about 80,000 inpatient or outpatient patients, was founded on the initiative of the Alfried Krupp von Bohlen and Halbach Foundation. The main priority of the clinic is the observance of the traditional approach to treatment, in which, on the one hand, patient responsibility and safeguarding, conservative medicine is observed, which is not limited to a single disease, but sees the person in its entirety. On the other hand, an equally important role is played by the belief in the progress of medicine and medical technologies, which continuously opens up new opportunities for the diagnosis and treatment of diseases. All this helps to find the most effective and at the same time the most benign treatment methods. 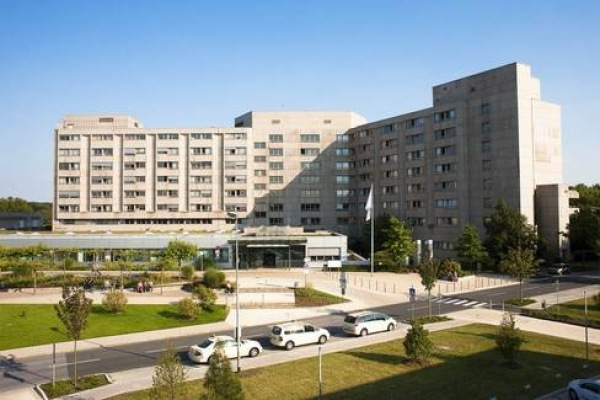 It is important to emphasize that the Alfred Krupp Krankenhaus, especially famous in the field of neurosurgery, thanks to many years of experience in performing operations to remove brain and spinal cord tumors with the help of neuronavigation. Specialists successfully carry out the most severe microsurgical interventions using endoscopy and stereotaxia to treat various diseases such as aneurysm and angioma of the cerebral vessels, tumors, injuries and all sorts of other diseases of the brain or spinal cord. In the orthopedic department only for joint replacement with arthroplasty, several thousand operations are performed annually. At the same time, next to high-quality cement or cementless standard implants, there is still the possibility of using an individual prosthesis, which is specially created according to the patient’s anatomy. The operations themselves are carried out with minimally invasive technique, which ensures rapid mobilization of the patient. Another feature of the clinic is the availability of the latest generation Da Vinci Si robot surgeon, which is used by specially trained medical personnel in the field of urological surgery. Thanks to the robot, the highest level of minimally invasive surgery is achieved, the image of the required area is transmitted three-dimensionally to the screen, the operating section itself is enlarged, and the surgeon, with special ultra-sensitive joysticks, performs surgery with the finest instruments. The robot can, ultra-precision and virtually without a trace, remove tumors in the entire uro-genital area, including the kidneys, adrenal glands, prostate and bladder. As well as many other serious interventions, such as the restoration of reproductive function after sterilization and surgery for incontinence in women, are successfully carried out by specialists of the clinic. Of course, all the other clinics and centers listed below are equipped with the latest equipment and are taking a step into the world of medicine, offering the most effective and body-saving methods of treatment for almost all known diseases. Clinic of urology and urological oncology.